So, it was a last minute decision that I add elastic to the bottom of the pant legs instead of scallops. 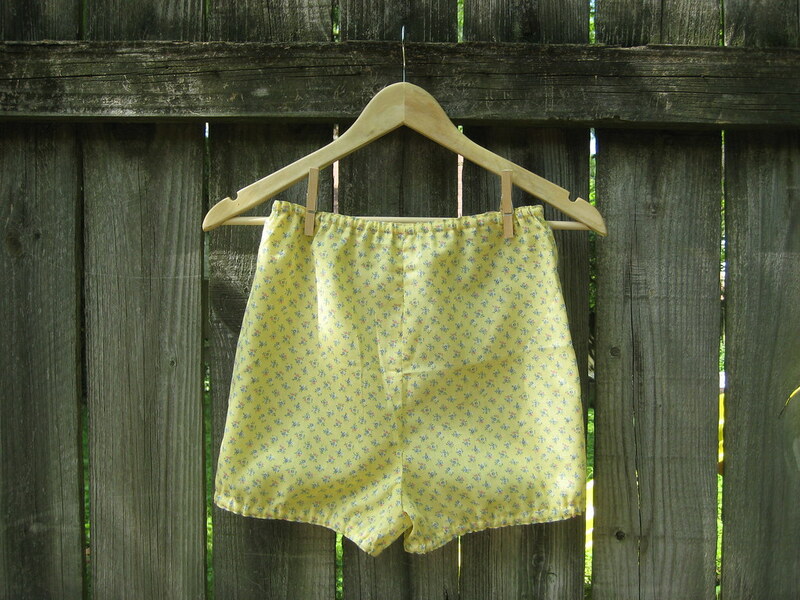 I've been obsessed with bloomers for over a month now, so I finally broke down and tried a simple shorts pattern with an elastic waist and added some minor bloomer-related alterations. Here's the process! 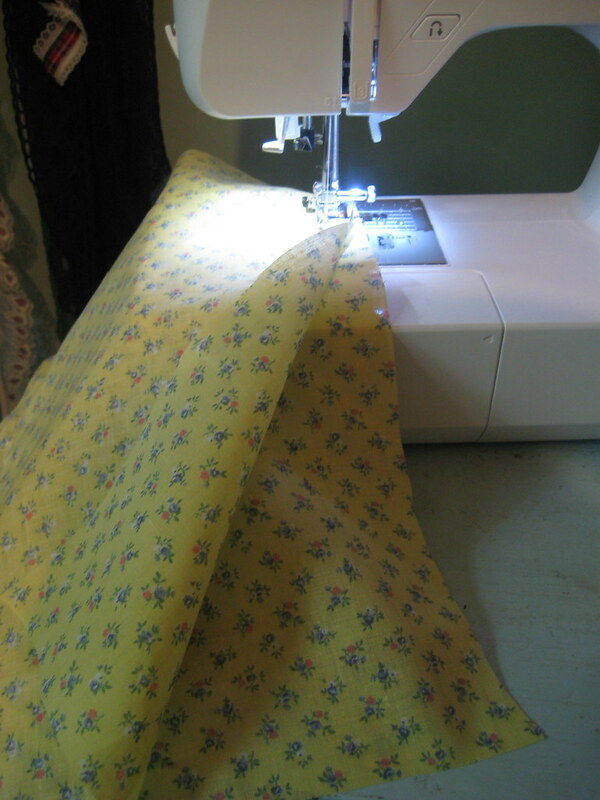 First, I did the usual pressing, pinning, cutting, and marking. 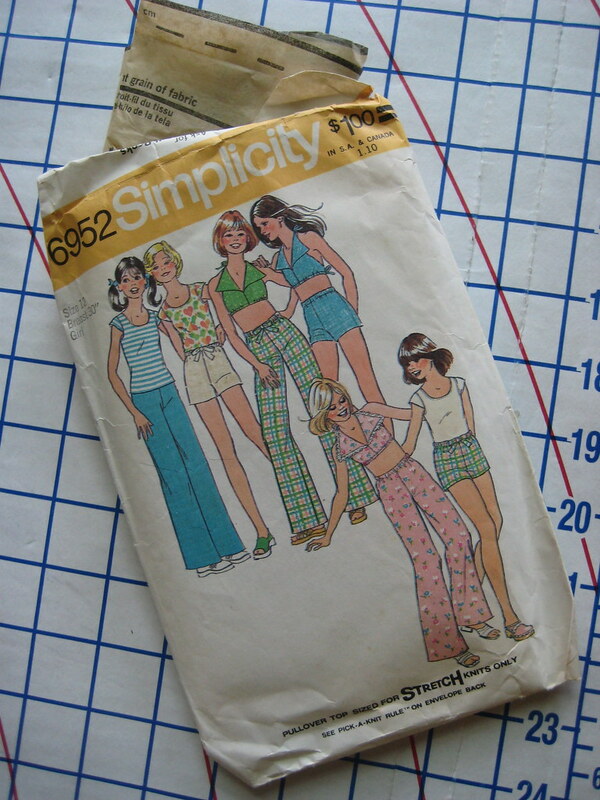 Wow, how awesomely easy these shorts were.. two pattern pieces, four cut pieces in all. 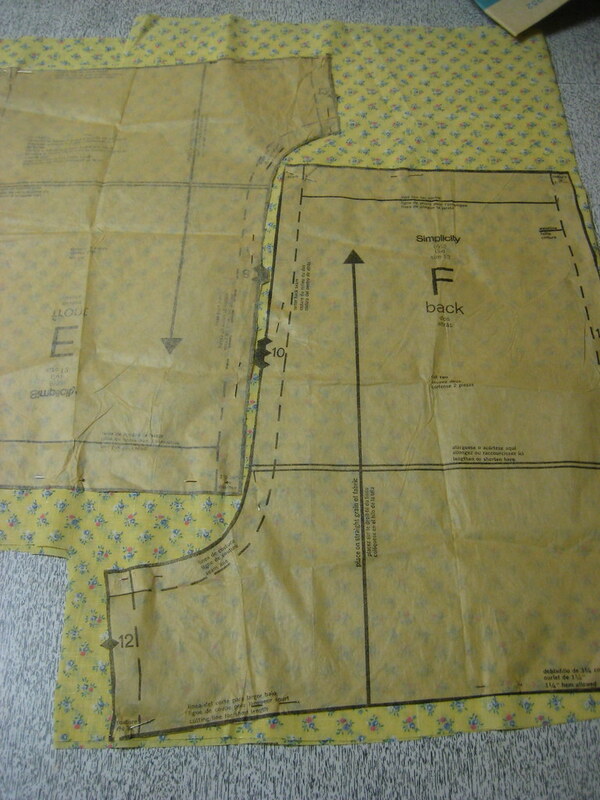 Then, I sewed the two front pieces together and the two back pieces together, following the seam allowance lines and matching markings. 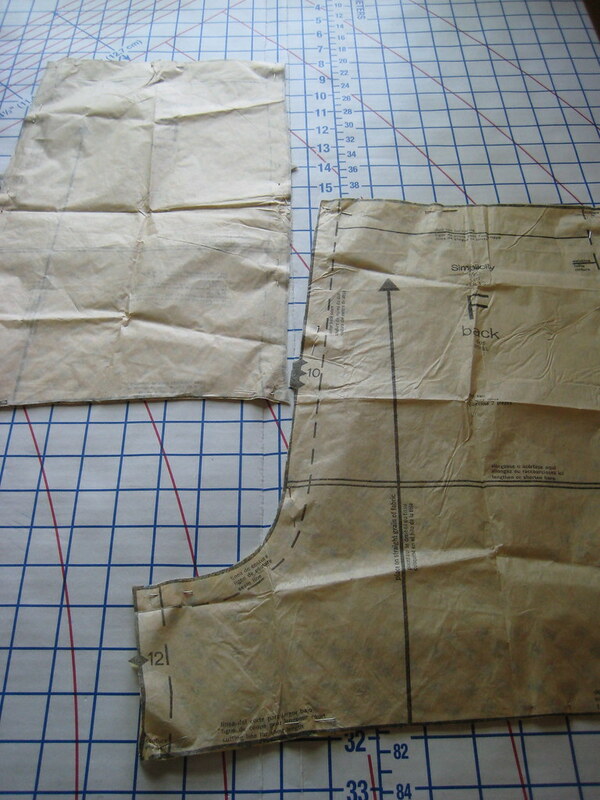 I then sewed the front and back pieces together at the sides. 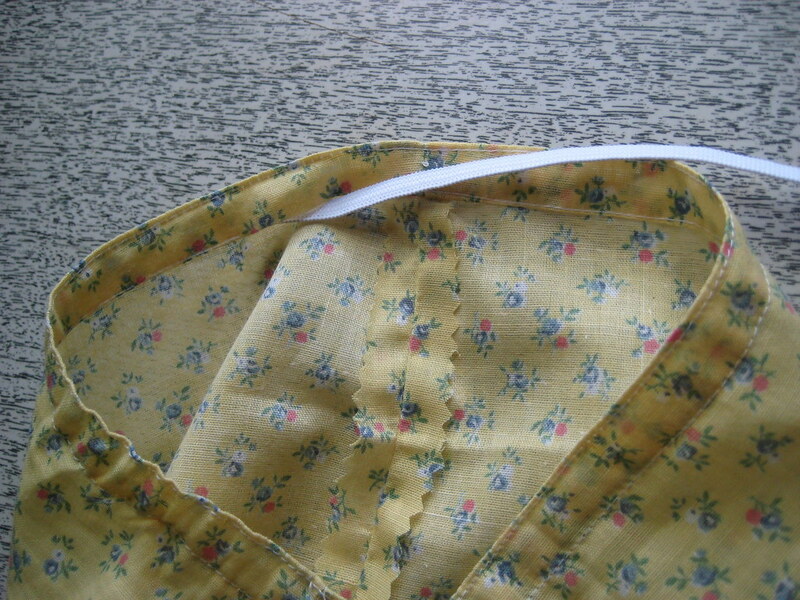 Sewing the leg pieces together front to back was the last step. 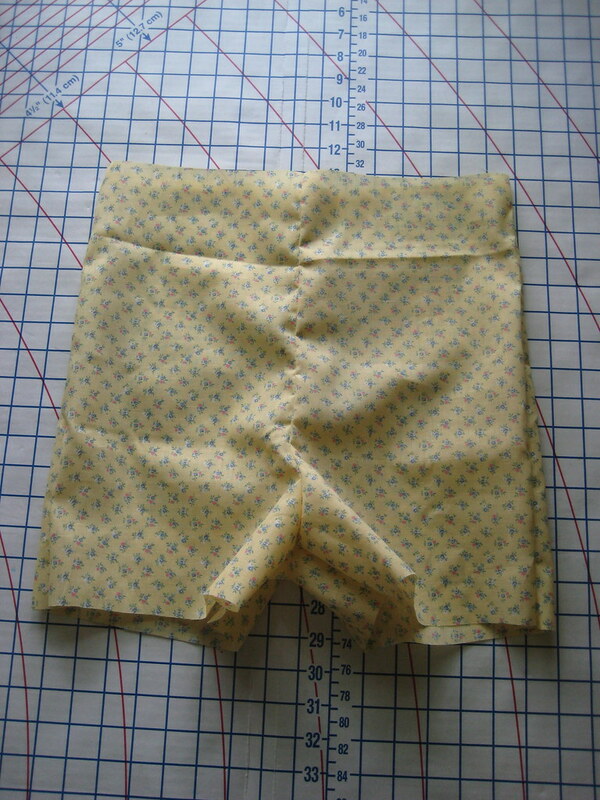 Once the shorts were sewed together, I clipped and pressed seams inside. I then had to make room for elastic casing. 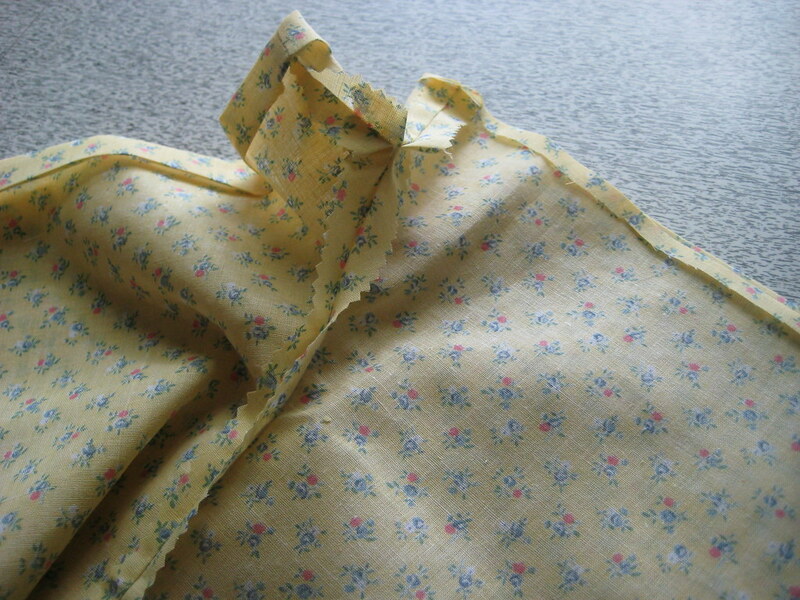 There were marks to let me know how far to fold at the waistline.. 1/4 inch pressed under, then about 5/8 inch from there, just like I've done before on the romper and white top. I simply repeated the casing process on the leg openings and left a spot open to slip the elastic in. 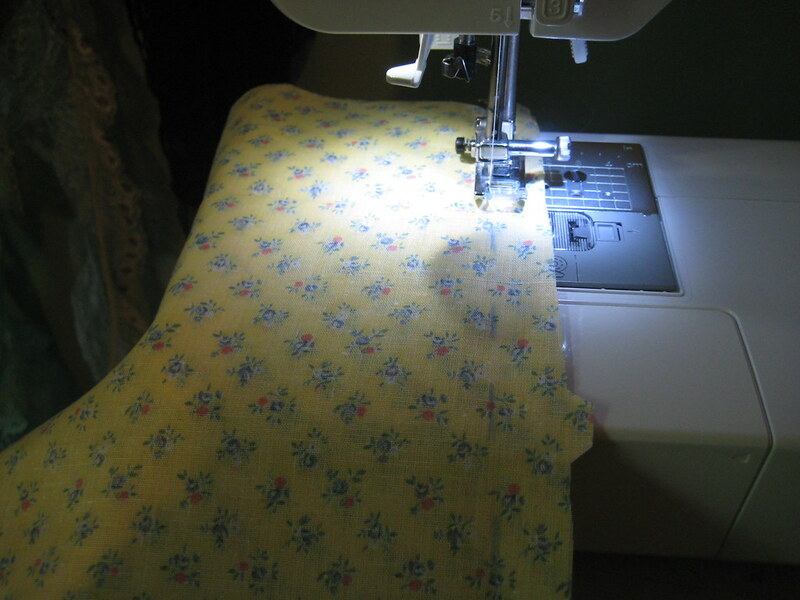 Once I sewed two lines for the casing on each opening, I put the elastic in (I used 1/4 inch elastic) and sewed it together. I then finished the empty spots in the casing.. that's all! Sometimes when I'm lazy and using elastic, I cut holes on the inside of the casing to pull the elastic through and speed up the process. 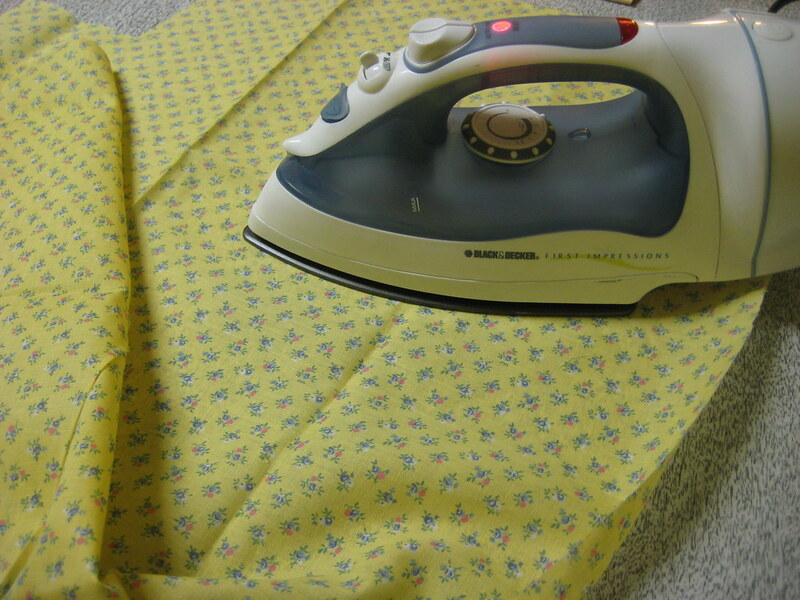 A new way, I found, is the same level of fastness but much neater. I leave more than one opening on one of the casing lines and pull the elastic through. 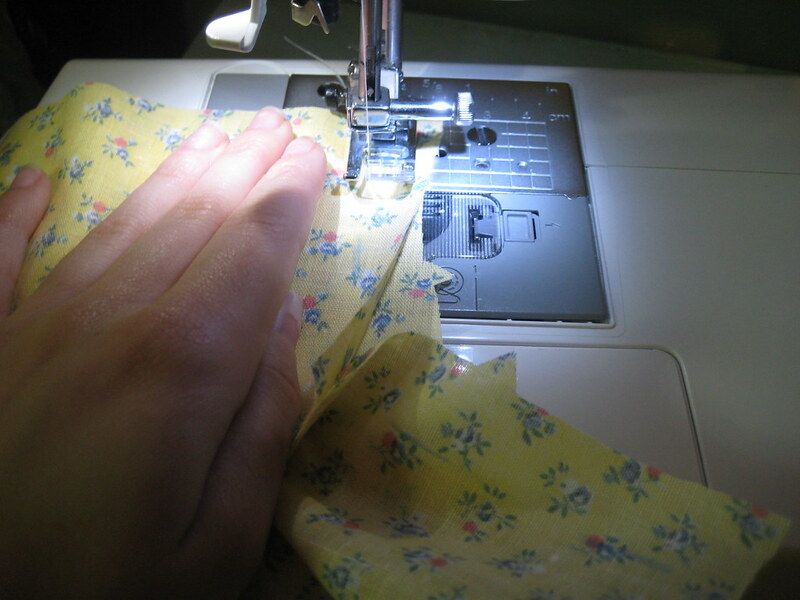 It's cleaner because once the elastic is inside the casing and sewn into a circle, you can simply close up a few openings in the casing rather than just the first one you used to slip the elastic in. Much cleaner than holes on the inside of the shorts. 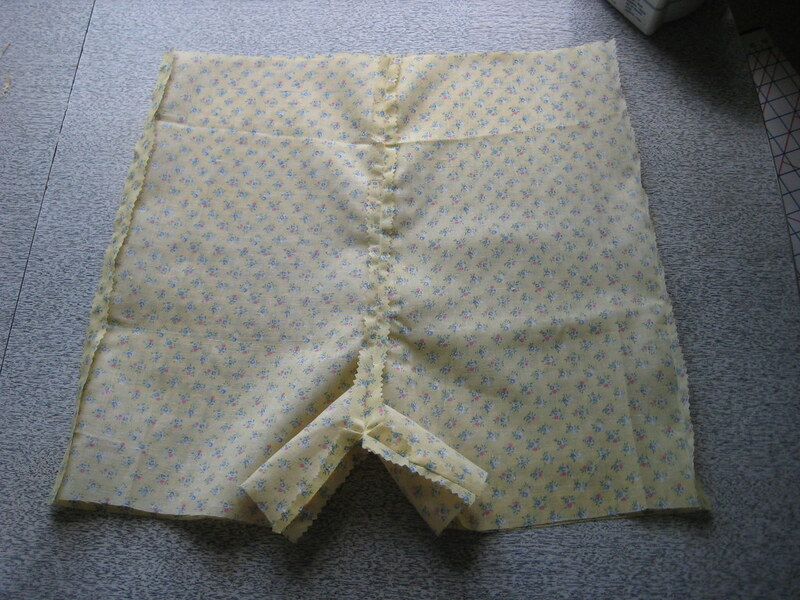 After trying them on, I found they didn't work exactly how they should have.. not enough fabric in the hip area. Bloomers are supposed to be pretty roomy. But I actually still do like the way they turned out. 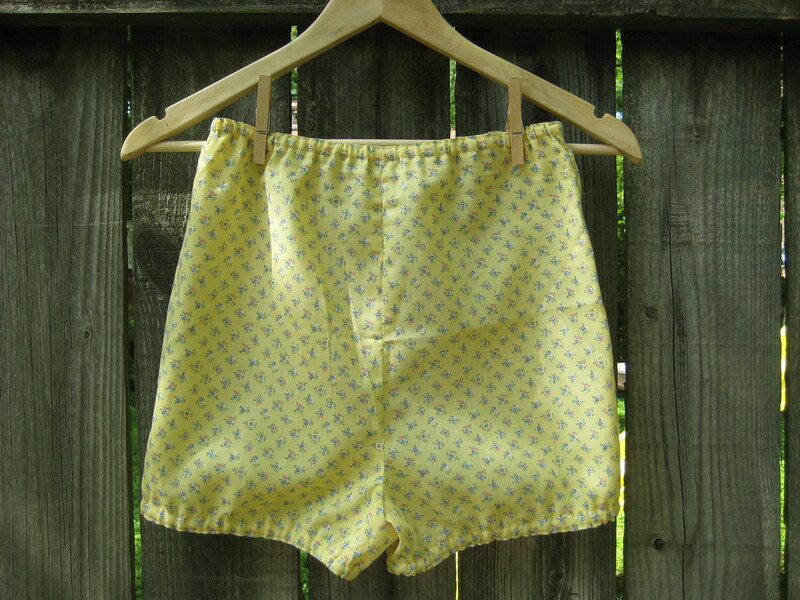 Since it wasn't like I had imagined, it compelled me to buy a proper bloomers pattern. The pattern I found is from the 1940's and kind of magical, so I can't wait to receive it in the mail and share it with you guys! I've got to own up. I know some people will just look at bloomers as sleepwear, and yeah - I did find all of those lovely Anthropologie examples above in the nightwear section. But, hey! 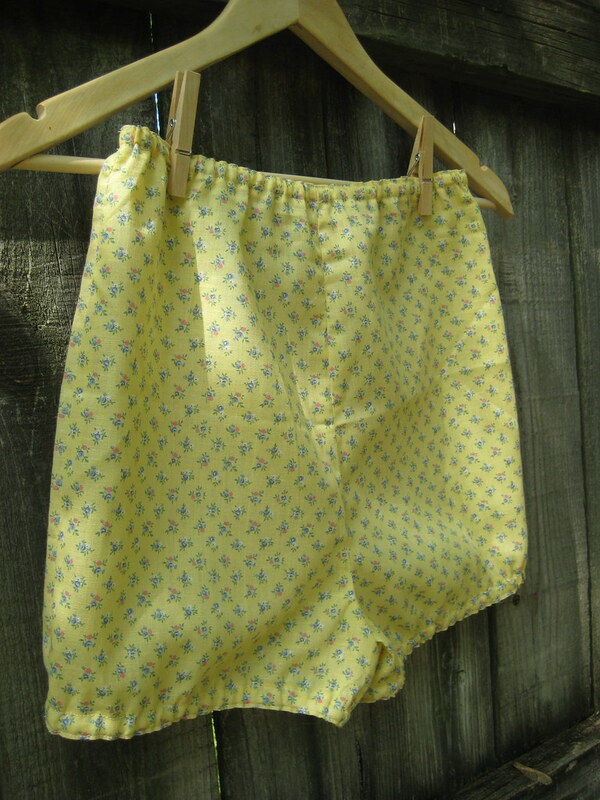 I bet we can wear bloomers out if they're done properly. Urban Outfitters even lists some pretty ones that look surprisingly easy to wear on a summer afternoon. And I'll be debuting mine (along with the white top I made last week) tomorrow!